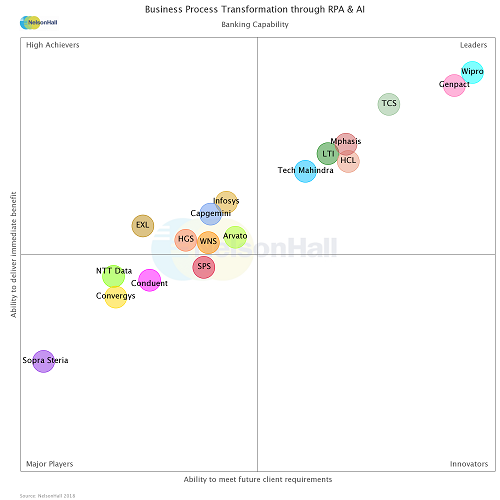 NelsonHall, a global independent research analyst firm, has positioned LTI as a Leader for RPA & AI powered Business Process Transformation in the Banking segment, in its latest NEAT report 2018. The report evaluated 18 global vendors for their ability to meet future client requirements and deliver immediate benefits to their RPA and AI services clients. 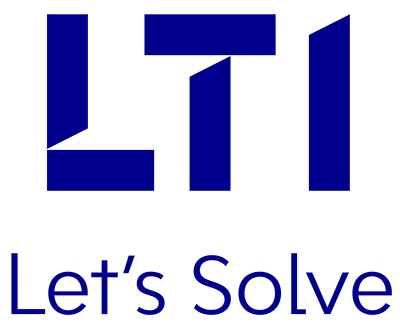 The Banking sector has been one of the key focus areas for LTI, and the organization has delivered several transformational solutions for its Banking sector clients. One such solution is the “trade finance transformation” solution. Integrating machine learning with OCR, the trade finance solution helps extract structured data from unstructured documents. Other solutions that afford optimum business benefits to the banking clients include FinCrime, Intelligent Entity Extraction & Tagging, Intuitive and Conversational Experience, among others. Commenting LTI’s recognition in the Banking space, John Willmott, CEO, NelsonHall, said, “Established multi-technology solutions in areas such as AML, FinCrime due diligence, trade finance, & loan processing, enable LTI to take its place as one of the leaders in the introduction of new digital process models in the banking sector”. LTI’s RPA and AI capabilities have delivered transformational business benefits to its global banking clients. The organization focuses on digitalization and optimization of processes, through its RPA, BPM, and AI technologies, endeavoring to develop new digital process models. Moreover, with an increasing focus on building strong partnerships with leading RPA and AI technology providers, LTI gains advance knowledge of changes in their technology capability, through identification of their roadmaps and access to beta products. With an expanding services portfolio of industry-leading offerings, LTI is well on its way to creating a strong foothold with its RPA & AI offerings in the banking space.